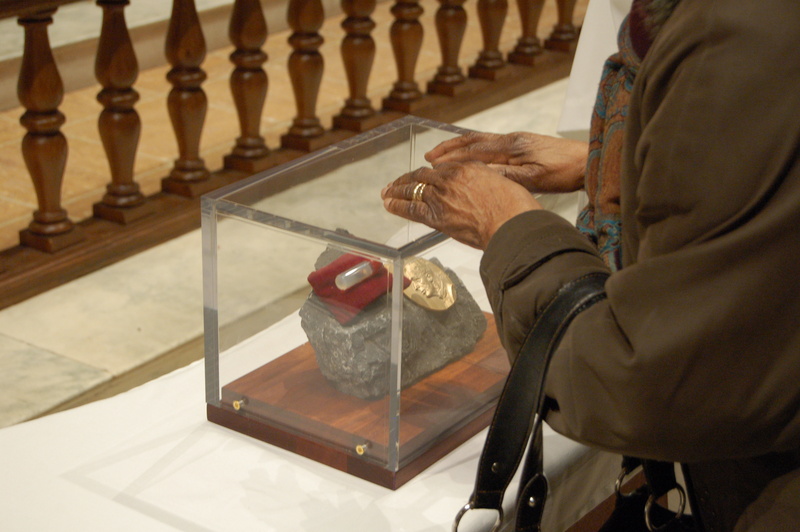 The veneration of relics is quite ancient. Of what does it consist? It is an act of love toward a person whose holiness is recognized by the Church, a gesture of reverence issuing from faith. It is in this spirit that the Major Reliquary of Saint Andre was created following his canonization. It is a means whereby Christian communities can receive this object of piety and invite their parishioners to offer prayers of veneration in its presence. The artifact is made up of various materials, and features a glass vial containing a few fragments of his heart. It has already visited several places. Wherever it may travel, the Major Reliquary attracts great numbers of prayerful people. This enthusiasm expresses well the affection people have for Saint André. For animation tools and prayers visit the Prayers to Saint Brother André section.